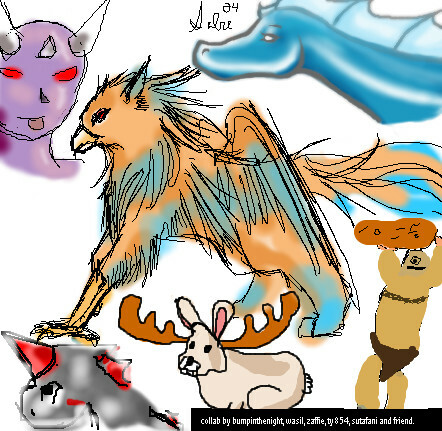 If any1 knows any mythical creatures and wants 2 draw one just ask. umm can I give it a try? The peanut stealing cyclops, i love it! sutafani, what the hell is that? um...im not sure wat the brown and grey things r but it's pretty good. woohoo!!! someone likes my dragon!!! oops! I thought I canceled reviseation! 'cause I had to get off! I sooo sorry! fixed it.... now it's ta purple pleople eater.... not to be confused with th one eyed purple peope eater.